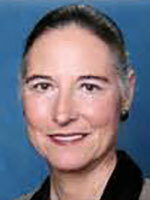 Dr. Alice Wolf is an adjunct and emeritus professor at Texas A&amp;M University. She received her DVM from the University of California, Davis, interned at Angell Memorial Animal Hospital in Boston, and returned to UC Davis for her residency in small animal internal medicine. Dr. Wolf spent 3 years in private practice in Albany, California, in the San Francisco Bay Area and the next 24 years as a professor of small animal medicine at the College of Veterinary Medicine at Texas A&amp;M. Dr. Wolf has been a speaker at numerous local, regional, national, and international veterinary meetings and has twice received the 'Speaker of the Year' award from the NAVC Conference. Dr. Wolf has published numerous journal articles and book chapters and is a reviewer and editor for several veterinary publications. She is chief medical consultant for the Veterinary Information Network (VIN) and works as a private consultant and lecturer in feline medicine worldwide. Session 3 of 5: Merial State of Vaccines: Protecting Your Patients Symposia Got questions about feline vaccination? Attend this interactive session to fill in the gaps for your practice. Get expert answers on vaccines, guidelines, schedules, reporting, and more. 1. Fill in the gaps of your practice's knowledge about feline vaccination. 2. Get expert answers on vaccines, guidelines, schedules, reporting, and more.